Roll up, Roll up. This is where the family fun really starts! 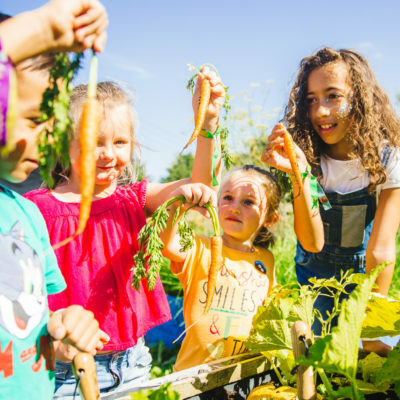 This year, little Feastival-goers can delight in dancing, yoga and jumping with Tatty Bumpkin and make as much noise as they want (in fact it’s actively encouraged) with the Calypso Kids percussion workshops. There’s musical fun with Baby Bhangra and take a trip on the Music Bus. For budding karate kids, Ninja Tots will be running their martial arts workshops across the weekend. Each evening we’ll be joined by a special guest storyteller – watch this space for details! 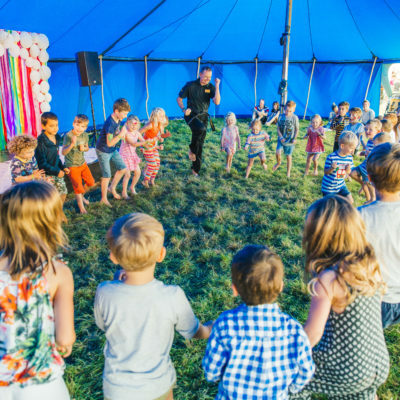 The Jitterbug family will be on hand to teach little ones an array of circus skills – from Diablo, Juggling, Poi Dance, Tightwire, Stilt Walking and Hoola Hoops to Limbo and lots more. 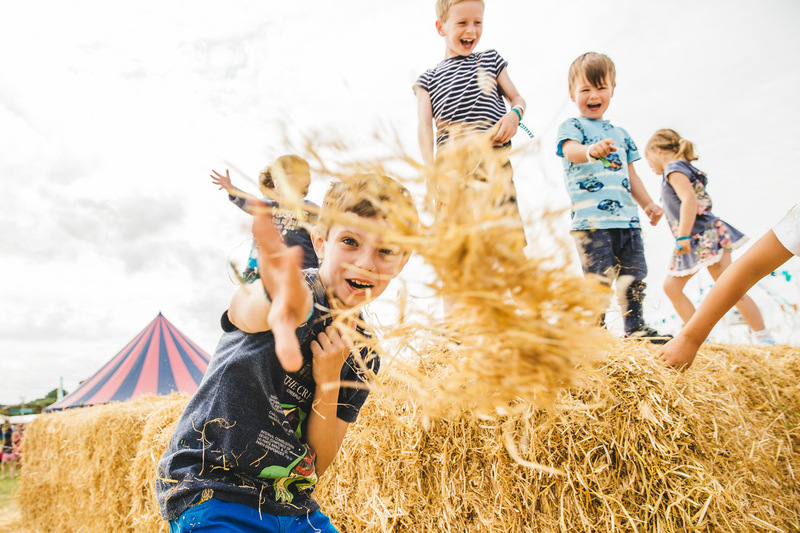 Along with a silly Circus Show, craft workshops, and bubble fun, there will be tight wire and tie on stilt walking workshops at different times during the day. Delve into our dressing up box, let your imaginations run wild and take part in our very own Jitterbug Kid's Spectacular. Enjoy the thrills and spills of the circus with Zu Aerial, appearing at the farm for the first time this August. Zu will be offering aerial performances and workshops, as well as walkabout acts throughout the festival. If you want to learn to fly, book your place on their aerial arts workshops - places will be limited so get in early to secure your spot in the sky! We know it can be challenging at a big event with little ones in tow, so we’d like to make it that bit easier for you with our Parents Pitstop. The Up All Hours team will be on hand to help with luxury nappy changing facilities, quiet feeding areas and microwaves to warm up food or bottles. And, no need to worry, all of this is free to use so you can pop in to re-charge your broods batteries as many times as required throughout the day.